Do you want a premium website, for ANY topic on the Internet? A site..
100% Done For You - 6 page website, with training, domain name - everything ready to go. Do you want this kind of website? It's only possible with the DONE FOR YOU WEBSITE offer.. The first step is to choose the niche topic for your website. Pick from one of our recommended niches, or choose your own from any keyword on the Internet. Once you've got a niche you're ready for the next step..
Next, you choose a "domain name" (yourname.com/.net/etc) for your website. Choose any domain for any niche you like - the cost is included! Either use our domain tool to find a valuable name - or choose one of our hand-picked premium names here. Now you've picked your name, it's time to sign up, so we can create your site..
Once you have your chosen your domain name and signed up below, send us your information here so we can get your website, domain & hosting LIVE. We will now create a profesional, unique site for you. This takes 24 hours guaranteed (business days only). We complete all 50+ steps - by hand and using proprietary software. ...Unique Website with Customized Design, Articles, Videos, Affiliate Reviews & eCommerce Store For ANY Niche Keyword You Want! We'll now email you with instructions how to get started with your new site - how to use your website, adding/changing content, Cpanel, changing the design etc. Plus, we'll give you 3 PDF courses (over 65 pages) on how to get traffic from the big three sites - Facebook, Google & YouTube. All you need to do is add traffic! Secure Your 100% Customized Website, with: Domain, Hosting, Design, Logo, Content, eCommerce Store, Affiliate Integration, How To Training & More - All In One Incredible Website! The first step is to click on the order button below - to instantly start the setup process..
Or choose your own niche keyword for any niche you can think of online - we can build a site to match. We will create a custom, unique, done-for-you 6 page website for ANY niche keyword! Choose from 500 hand-picked, premium domain names. which we've valued at anywhere from $25 to $500! Or pick your own with our Domainaveli tool - the ultimate domain name research software online! All websites include unlimited space & bandwith - no limits, ever! Once you've picked a niche, and chosen your domain, it's time to get your website!.. Simply order below & tell us the website you want us to setup here and we will create your website for you. We guarantee your website will be setup in 24 hours - or you get $100 -- plus you get to keep your website! OK, now before you go ahead and sign up for your website, let's look at all the features included with your site..
100% completely unique website, professional designed and setup for you. Articles - 3 unique, quality articles, based on social, viral content. All LSI-keyword focused and keyword-rich for SEO. 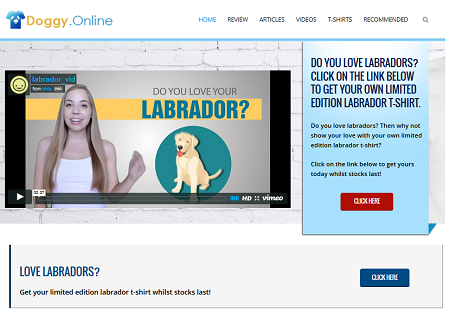 Videos - 3 hand-picked videos embedded on your page -with unique description - to engage visitors and drive SEO. Recommended - 10 great recommended links on one page. Our "uBub" technology powers this. This is on a strictly first-come, first-served basis. Do whatever it takes to convince yourself that it is possible to finally succeed with your own website - combining the unlimited potential of JVZoo, ClickBank & TeeSpring - with the mass traffic potential of Google, Facebook YouTube & more. Get ready for a brand-new horizon - astounding & afresh for 2018. Join today for only $1 for your 30 day trial, then just $27 per month! And remember, with this is 100% risk-free. But you must act now. This opportunity cannot last forever. I only have one team. Test-Drive your website for just $1 for 30 Days - 100% risk-free! That's less than $1/day for your website, domain & hosting.. cancel any time! Do I own the website when it goes live? How long does it take to set the site up? You can reserve your domain name immediately. Site setup takes 24 hours to set everything up. What do I get at the end of the process? You'll have a premium domain, fully unique website, training & professional hosting - everything you need to get started! Why aren't you selling this for $1,000 or more? Because I want people to enjoy the same success I had. And that only comes with me & my team making your site. It's simple. If you dont like Done For You, just contact us for an unconditional 30-day refund, for any reason whatsoever. Are there any other products to purchase?